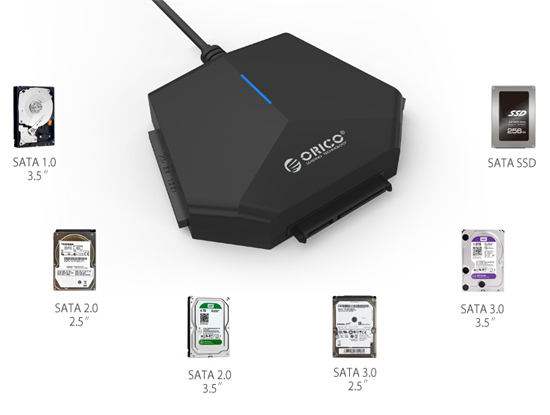 Fit for 6TB 2.5 & 3.5 inch IDE / SATA HDDs or SSDs, widely compatible and old hard drives also can be used easily. 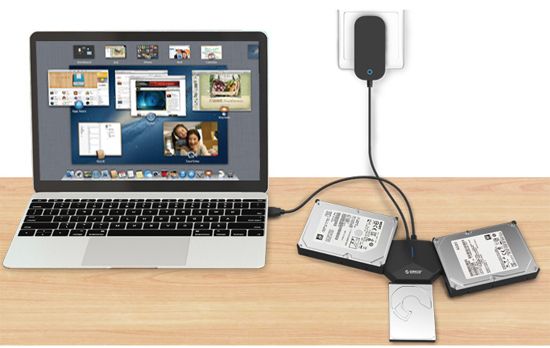 Transfer data conveniently, support hard drives' capacity of up to 6TB, manage data with ease. 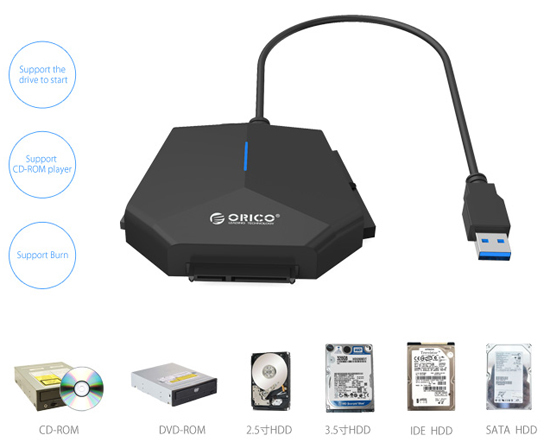 Compatible with all kinds of optical drives with IDE / SATA interface, take optical drive as mobile drive, support optical drive start, optical disk record and HD movie play, renewing unused optical drive. Safe power keeps devices operate well; independent power switch protects hardware and prolongs service life. 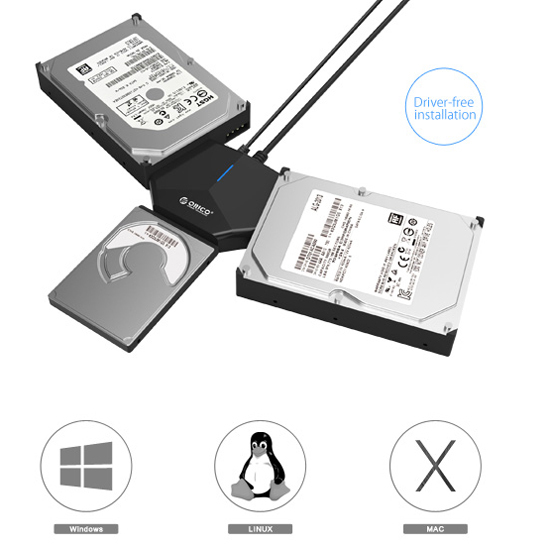 Adopt USB3.0 to SATA + IDE transmission, whose transfer rate is up to 5 Gbps, faster than you expect. U3TIS is compatible with major systems on the market including Windows XP / 7 / 8 / Vista, Linux, Mac OS, stable and backwards compatible.